Porsha Newman thrives on face-to-face contact. She enjoys being deep in the trenches with a dynamic team, anticipating obstacles, and successfully navigating the group to success. She brings an empathetic approach to managing change, which allows her to build strong relationships that move projects forward smoothly. When things get crazy and stress levels rise, Porsha leans on her ability to clearly map out next steps to make large-scale projects less overwhelming and keep team morale high. 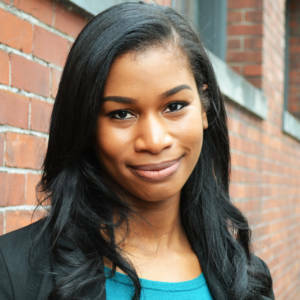 Porsha began her career in the healthcare industry at Huron Consulting Group, where she led projects that improved operational monitoring, redesigned staff workflows, and implemented product software. She holds a bachelor’s degree in economics from Pennsylvania State University.